Has a shoulder injury you sustained on the job site stopped you from returning to work? You may be eligible for workers’ comp while you recover. The shoulder is one of the most complex joints in the body and provides an incredible range of motion we often take for granted on a day-to-day basis. Shoulder injuries can be debilitating. When you can’t lift your arm without pain, even simple tasks like brushing your teeth can be difficult. Laboring as a construction worker with a shoulder injury may be impossible. If it happened on the job, your medical expenses and lost wages should be covered by Ohio workers’ compensation. Learn more about these injuries and how to get the benefits you deserve. In 2016, 6,520 construction workers across the country had to take days off of work due to a shoulder injury sustained on the job, according to the U.S. Bureau of Labor Statistics. Laborers and artisans who lift and hold things over their heads—such as painters, drywall hangers, and sheet metal workers—are prone to shoulder injuries. Likewise, carpenters and roofers, who perform repetitive tasks for long periods of time, are also at risk for shoulder problems. Dislocations. A sudden or unexpected arm movement can cause the ball of the shoulder joint to pop out of the socket. Even after the shoulder is popped back in, the injured worker can experience chronic pain and frequent recurrence. Impingement syndrome or bursitis. Overuse of the shoulder and heavy lifting—common tasks of construction workers—can irritate the rotator cuff, leading to impingement. Immobilization and physical therapy are recommended treatments. Torn rotator cuff. A tear in the group of muscles and tendons that surround the shoulder joint is painful and can cause arm weakness. Carpenters and painters can damage the rotator cuff over time due to the repetitive arm motions required by their work. Any injury of the shoulder joint takes time to heal and often involves expensive physical therapy. 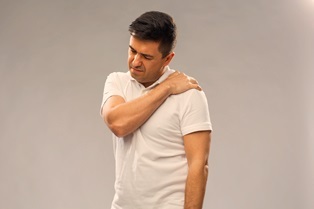 As soon as you realize you've injured your shoulder at work on a construction site, report the injury to your employer, seek medical care, and file a claim for workers’ compensation. If you have any difficulty getting the approval of your claim, it's wise to contact a workers’ comp attorney. I helped construction workers in Ohio get the benefits they deserve for over 30 years. Get the answers in my free e-book, The Worker’s Guide to Injury Compensation in Ohio, and then call my office to discuss your case. You should never be made to feel ashamed for filing a workers’ comp claim. I'll fight to get you the compensation—and respect—you deserve. If I work at a side job, can I include that income when calculating workers’ comp benefits? I recently saw a statistic I found interesting. According to a survey conducted by Bankrate and reported in the Columbus Dispatch, nearly 40 percent of workers across the country report earning income from a side job. This means that besides the salary they earn at their primary jobs, almost half of American workers have a supplemental income they rely on to get by. compensated for all lost wages, not just the income earned from the primary position. People who have side jobs earn an average of $686 a month. Losing this much money monthly could have a significant impact on the ability to support yourself and your family. 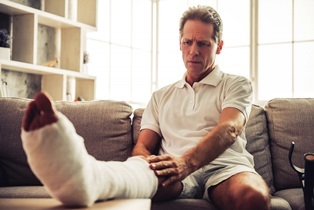 This is why if you're injured at your primary job and unable to work, the loss of any side income should be factored into your wage calculation when filing for workers’ comp with your primary employer. This is why we ask you to tell us about all the work you've done during the year before your injury. Sometimes, you could continue to work your side gig while receiving workers’ comp from your primary employer. For example, a back injury may prevent you from your primary job of delivering packages for Fed Ex, but not from your freelance work as a copywriter. However, if you're collecting benefits for lost wages from the side job, or if you've claimed you're unable to do the side job, continuing to work could be considered workers' compensation fraud. Having side jobs can complicate an Ohio workers’ comp claim. Whether you need to include your extra earnings in the wage calculation for lost time benefits or have questions about if you can continue to work a side job while collecting benefits, I can help you figure it out. Call me to discuss your claim, and I'll let you know if I can be of assistance. You can learn more about applying for Ohio workers’ comp benefits by requesting a free copy of my book, The Worker’s Guide to Injury Compensation in Ohio. Work-Related Injuries and PTO in Ohio: Do I Have To Use Sick Time? Can I get workers’ comp when I'm injured by a power tool on a jobsite? The short answer is yes. Under Ohio’s workers’ compensation law, when you're injured at work, your medical costs are covered by your employer’s workers comp insurance. When you're a construction worker who regularly uses power tools, it's important to be aware of your right to workers’ comp, because you may have a higher risk of being injured than other workers. As an experienced construction worker, you probably know the dangers involved with using power tools. However, long work days, careless coworkers, disabled safety features, and overconfidence can lead to a serious injury that requires medical care and days away from work. Electric shock. When using electric tools, workers are at risk of a shock that could cause heart fibrillation and burns, or startle the worker to fall off an elevated work surface and suffer other injuries. In some cases, workers can also be electrocuted by an ungrounded power tool. Eye injuries. Saws, sanders, grinders, and other similar tools produce debris that can hit a worker in the eye, causing serious and permanent damage. Nail guns and staplers shoot dangerous projectiles that could also do serious damage to the eyes of operators or bystanders. Puncture wounds and lacerations. With even a slight slip of the hand, a nail gun, drill, saw, or other tool could easily puncture flesh, causing an injury that requires stitches, damages ligaments and tendons, and puts the victim at risk of infection. Crushing injuries and amputations. Electric saws, jackhammers, forklifts, and chippers have the power to crush a person who gets caught in machinery, or cut off the limb of an operator. Repetitive-use injuries. While power tools are designed to make tasks easier for the worker, you can still experience soft-tissue and repetitive injuries from long-term use. The vibration from a jackhammer can cause joint and nerve damage that could be permanent. Hearing loss. Being exposed to the loud noises caused by power tools—even if you're not the one operating the tool—can cause permanent hearing loss. 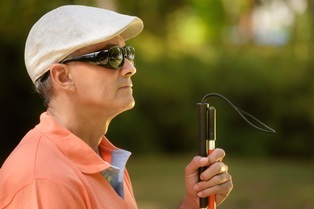 Treatment for hearing loss caused by workplace conditions is covered by workers’ compensation. Of course, there are safety measures that must be taken to prevent these injuries, but accidents happen. Workers’ comp should be the safety net you need when the accident happens to you. If you're classified as an independent contractor on a construction site, you won't be covered by workers’ comp insurance. However, construction workers may be misclassified and need legal assistance to fight for the benefits they deserve. Significant additional compensation is available to workers whose employers have violated safety standards. If you're having trouble getting your construction site injury coverage approved, contact me. I help dozens of construction workers get the coverage they deserve, and I'll put in the time to do the same for you. Call me today for a strategy session. When you're injured in a fork-lift accident at your warehouse job or think you may have developed carpal-tunnel syndrome at your office job, your first move may be to go to the nearest emergency room or your doctor for diagnosis and treatment. Fortunately, the Ohio workers’ compensation program allows this—but only for that initial visit. After that, you must see a Bureau of Workers’ Compensation (BWC)-certified physician for your treatment to be covered by workers’ comp. If you work for a self-insured employer such as UPS or Ohio State, your employer will decide regarding your eligibility and who you can see for treatment. It's possible that your doctor is already BWC-certified—in which case, you won’t have to look further for a doctor to treat your work injury. However, if she's not and you continue to see her, you'll be responsible for all medical costs related to your work injury. While your employer may suggest a doctor, you're under no obligation to visit that doctor. Instead, you can find a certified physician in your area by checking the provider look-up tool on the BWC’s website. As long as you receive workers’ comp benefits for the injury for which you're seeking treatment, medical costs related to your claim will be covered. However, even for BWC-certified doctors, treatment has to be approved by your employer’s managed care organization (MCO) with employers who obtain workers' compensation through Ohio's state insurance fund or by your self-insured employer. If you're not already familiar with managed care organizations, understand how they work. All employers who purchase workers’ comp insurance through a state fund must choose one of 13 MCOs recognized by the BWC to manage their workers’ compensation claims. The MCO oversees claim filing, and supervises medical treatment and employer return-to-work programs. Your employer’s MCO manages the medical portion of the claim, so additional medical procedures, treatments, and referrals from the treating physician have to be approved by the MCO. If medications are prescribed, you have to inform the pharmacist that it's a workers’ comp claim and provide your BWC claim number. Any treatment or services you received before your workers’ comp claim is approved should be reimbursed after that approval. Note that some large Ohio employers are self-insured—this means they administer workers’ compensation claims directly, and your employer may manage the medical portion of your application. If you're like most of our clients, you may feel frustrated and hopeless when coverage for a needed medical procedure or prescription is denied. However, you may appeal any medical decisions made by your MCO, and you may work with an experienced workers’ comp attorney on your appeal. If you feel like the BWC is saying you and your doctors are wrong, or even fraudulent, call me for a free review of your claim. I help many workers just like you overcome the challenges of the Ohio workers’ comp system, and I may assist you, too. We're never too busy to take your call or answer questions. Fill out the form on this page to connect with me today. Do I have to use sick time for my work-related injury? The intent of workers' compensation in Ohio is to cover all costs related to an injury you sustain at work or an illness you develop because of your job. The benefits you receive depend on the seriousness of the injury or illness and how much time you must take off work. If you only miss a few days after a workplace accident, charge that time against your paid time off (PTO). However, if your injury or illness leads to eight or more days off work, you qualify for temporary total compensation benefits from workers’ comp to replace your lost income. The Ohio Bureau of Workers’ Compensation (BWC) defines temporary total disability as “the temporary inability of the injured worker to return to his former position of employment.” If your claim for workers’ comp benefits is approved, your injury-related medical bills will be paid no matter how long you must miss work. However, temporary total compensation benefits—or reimbursement for PTO already taken—won't start until the eighth day you're off work. If you miss two weeks of work, you'll only be compensated for the second week. If you're away over 14 days, you'll be compensated for all the days you have missed, including the initial week. If you're approved to return to work under modified conditions and your employer cannot accommodate you, you can remain on temporary total compensation benefits as you continue to improve. It's important to note that getting these benefits doesn't mean you'll receive 100 percent of your wages. Instead, you'll receive between 72 and 66 2/3 percent of your wages, depending on how long you're off. 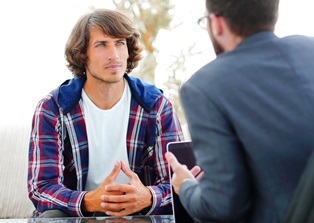 When you return to work, temporary total compensation benefits end. However, you may be eligible for wage loss benefits if your injury causes work restrictions that lead to a reduction in earnings. When you're injured on the job and cannot work, you may be eligible for many benefits. Because every case is unique, call us for a strategy session. We can explain your rights and help you pursue the maximum compensation. How long do I have to file a workers’ comp claim in Ohio? As of September 29, 2017, House Bill 27 reduced the amount of time injured workers have to file a claim to one year from the date of the workplace injury or death in Ohio. For claims involving occupational disease, you have two years to file a claim. This is known as the statute of limitations. That may seem like plenty of time. After all, why would you wait to apply for the benefits you need to pay for medical treatment and lost wages? While most people file within the first few weeks or months after an accident, others delay their filing and jeopardize their claim. If you do not file a claim before the statute of limitations deadline, you no longer have the right to file a claim. When injured on the job, immediately report the accident to your employer and seek medical attention. Not doing so could hurt your claim before you've even filed. While those steps are essential, they're not the same as actually filing a claim for compensation. Fear of employer retaliation. Some workers are worried they'll be fired, demoted, or moved to a bad shift if they pursue claims, especially for injuries they hope go away on their own. Retaliatory actions are illegal, and fear of them shouldn't discourage you from applying for needed benefits. Fear of what people will think. If the injury seems minor, sometimes a worker doesn't want to be a whiner who complains about every little ache and pain. He or she may also worry about the stigma of being on “workmen’s comp” or that co-workers will treat him or her differently. Fear of missing work. Some employees worry if they take the time needed to treat their injuries, they'll lose wages they won’t be able to get back. Ohio workers’ comp authorizes payments for lost wages during the period of recovery, so a successful claim will help you more than toughing it out and working while injured. Continuing to work while hurt may lengthen your recovery time or lead to increased problems later. Remember, most of us aren't eighteen anymore: injuries we used to "walk off" take longer to heal as we age. Employer pressure. Some employers may encourage or even push injured workers to use their health insurance to pay for treatment. Some small business owners also tell injured employees not to file because their premiums will skyrocket, promising to “take care of them” through other means. Remember: you should have the benefits offered by Ohio workers’ compensation, and it's not up to your employer to decide how you take care of yourself. Waiting to see how severe the injury is. It's not uncommon for individuals to push themselves to work through injuries to see if they get better without treatment. However, filing the claim permits a doctor to request diagnostic tests to confirm or rule out a diagnosis, setting you on the road to health much more quickly. Don’t let these reasons affect your filing. At Monast Law, we've helped hundreds--actually, thousands--of people just like you who have fears about filing claims, and we can help you, too. A year can pass by quickly when recovering from a workplace accident, especially if you're hesitant to file. It's important to take action immediately when injured at work. If you were hurt, or your employer isn't cooperating fully, call me to schedule a free consultation. If I can help, I'll work quickly to make sure you meet the deadlines and present the most persuasive claim possible. Meanwhile, request a download of my free book to learn what you need to know about workers’ comp in Ohio. Vocational rehabilitation is a program offered to individuals unable to return to the work they did before being injured on the job. However, they may be able to work in another capacity, whether with the same employer or a different employer. Vocational rehab helps workers transition to jobs they're able to do despite the physical and sometimes emotional restrictions and limitations caused by workplace accidents. Failure to pursue opportunities for re-employment is required under Ohio Revised Code §4123.58 which prohibits an award of permanent total disability if "the employee has not engaged in educational or rehabilitation efforts to enhance the employee's employability, unless such efforts are determined to be in vain." During this transition, workers will be eligible for Living Maintenance or Living Maintenance Wage Loss benefits. What Happens in a Vocational Rehab Program? These services are not always available through the Ohio Bureau of Workers’ Compensation (BWC), so it may be necessary to work with other agencies. The BWC, your managed care organization, and the Ohion Bureau of Vocational Rehabilitation (BVR) can work together to help find the right program for you. How Do You Qualify for a Program? To apply for vocational rehabilitation, your doctor should fill out a C-9 Request for Authorization form and submit it to the BWC. To qualify, you need an allowed claim with eight or more days of lost time from work and a “significant impediment” to returning to work. You'll also have to meet certain criteria related to the extent of your injuries and type of compensation you're awarded. If you were turned down for vocational rehabilitation and are struggling to get the workers’ comp benefits you need to make up for losses related to a work injury, request a free copy of my book, The Worker’s Guide to Injury Compensation in Ohio. And call our office today! We've helped hundreds of injured workers just like you get the benefits they deserve, and we can help you, too. Can I collect workers’ comp benefits if my work-related vision loss is correctable? A traumatic workplace accident, chemical exposure, or eye strain could lead to permanently losing vision that limits your ability to continue working. In certain industries, these injuries happen regularly. The Centers for Disease Control and Prevention report that over 700,000 eye injuries requiring medical treatment occur in workplaces each year across the country. Vision loss, even loss caused by a traumatic accident, is often treatable with surgery or corrective lenses. But a workers’ comp loss of vision award is based on your condition before you receive any treatment. To qualify for an Ohio Bureau of Workers’ Compensation loss of vision award, you must have lost at least 25 percent of sight in one eye due to a workplace accident or exposure. The percentage of loss is based on your vision after the injury but before receiving treatment or corrective lenses. This assessment is compared to your sight ability before the accident to confirm the vision loss was caused by the accident or other workplace conditions. If your vision is expected to improve without medical intervention, your scheduled loss award won't be determined until the healing process is complete. Even if your vision is 100 percent correctable with surgery, glasses, or contact lenses, you'll still qualify for benefits based on your pre-treatment vision. If a workplace injury results in a removal of the eye or a traumatic cataract, you may also qualify for a facial disfigurement award. Tools. Nail guns, staplers, saws, wire cutters, and other tools send dangerous projectiles into the eyes of the user or bystanders. Line workers at Honda, Whirlpool, and Worthington Industries are at high risk. Chemicals. Splashes from industrial chemicals and cleaning products cause burns that damage the eyes. Workers at local companies such as GFS Chemical, Hexion, and Capital Resin handle chemicals daily that pose risks of permanent vision damage. Thermal burns. Welders at companies like Honda, Cardington Yutaka Technologies, and Battelle may experience thermal burns to the retina, causing significant loss of vision. Most injuries can be prevented by using protective eyewear, but because workers’ comp is a no-fault insurance, it shouldn't matter whether your eye injury was preventable. If your vision is damaged while performing a task related to employment, you're entitled to workers’ comp benefits. The amount of your award depends on the percentage of impairment and increases if vision loss is complete and permanent in one or both eyes. If you suffered vision loss due to a workplace injury and your benefits were denied, or you're unhappy with the way your claim is being handled, contact me for a personalized assessment of your claim. I also encourage you to request a free copy of my book, The Worker’s Guide to Injury Compensation in Ohio. What Is The Difference Between Managed Care Organizations and Third Party Administrators? 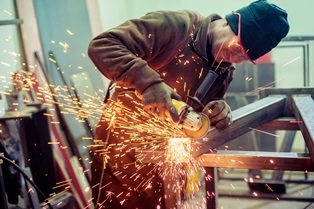 MCOs are the principal connection between injured workers, employers, medical providers and the Bureau of Workers’ Compensation. Created by the Ohio legislature and then-Governor Voinovich after voters overturned their efforts to privatize Ohio’s workers’ compensation system in 1997, MCOs are medical cost containment companies. They oversee claim filing and supervise medical treatment and employer return-to-work programs. MCOs add additional levels of bureaucracy to claims processing previously managed by BWC Claims examiners (now known as CSS or Claims Service Specialists) as its decisions may be appealed through two levels before reaching the BWC. This can delay treatment by months. MCOs direct the medical management of workplace injuries and occupational diseases. They assemble initial injury data and medical documentation, approve or deny treatment and testing, pay bills related to the claim and focus on returning injured employees to work soon. All employers must choose one of 13 MCOs recognized by the BWC to manage their workers’ compensation claims. MCOs are paid by the BWC through premiums paid by employers into the State Insurance Fund. 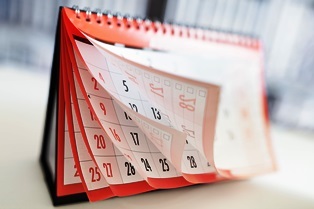 Employers can select or change their MCO every two years. Unlike MCOs, required for all Ohio employers to direct medical management of workers’ compensation claims, TPAs are neither required nor regulated by the BWC. They can be hired by employers at any time or not. TPAs are private businesses hired by employers to help with the financial and administrative details of workers’ compensation claims. Slightly less than half of Ohio employers have a TPA representative. TPAs can assist employers in reducing their workers’ compensation premiums through discount plans such as group rating, retrospective rating, self-insurance and others. They also represent employers at Industrial Commission hearings, process appeals, schedule defense medical examinations, file motions to terminate treatment and compensation payments and negotiate claim settlements. To summarize, MCOs direct the medical aspects of a workers’ compensation claim while TPAs represent employers in processing claims and minimizing their workers’ comp expenditures and claim costs.